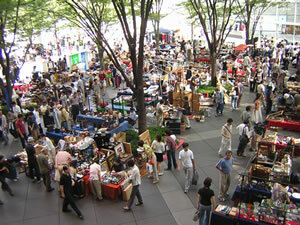 A flea market held in front of Tokyo International Forum Building, just one minute away from JR Yurakucho Station in Ginza. Admission Free. *Oedo Antique Market in Yurakucho usually takes place on the first and third Sunday of every month.